When you think Clint Bowyer, you think unfiltered personality. Yet this weekend at Chicagoland Speedway in Joliet, Illinois, Bowyer will proudly wear a filter as his No. 14 Ford Fusion from Stewart-Haas Racing (SHR) carries the colors of WIX® Filters in the Overton’s 400 Monster Energy NASCAR Cup Series race. Fans have seen plenty of Bowyer and his gregarious personality this year as the Emporia, Kansas-native has scored two wins along with five top-five and nine top-10 finishes. In those post-race interviews – particularly the ones from victory lane – an unfiltered Bowyer has showcased his fun-loving nature, and in the days and weeks that followed, authentic, smile-inducing media interviews and social media posts have made Bowyer one of the hottest drivers in NASCAR. Want proof? In the days before NASCAR Cup Series teams traveled to Sonoma (Calif.) Raceway for last weekend’s road-course race, television commentator Jeff Burton came up with an interesting take during a debate about which four drivers will comprise the Championship 4 in the season-ending Ford EcoBoost 400 Nov. 18 at Homestead-Miami Speedway. Not surprisingly, most of the expert panel predicted SHR’s Kevin Harvick, along with Kyle Busch and Martin Truex Jr., as three of the four drivers who will battle for the championship. After all, the trio has won 12 of the 16 races so far this year. But the surprise of the debate came when Burton, himself a 21-time NASCAR Cup Series race winner, predicted the fourth driver in the title battle. For his part, Bowyer isn’t ready to say he and his team are a lock for the Championship 4, but he did say the combination of SHR, Ford and Roush Yates Engines puts the No. 14 WIX Filters team in contention. Burton’s comments stirred debate on social media, but looking at Bowyer’s career record, is it really a surprise to include him in predictions for who will comprise the Championship 4? Before arriving at SHR in 2017, Bowyer had finished in the top-five in the championship four times for two different organizations. In 2007, he finished third in points driving for Richard Childress Racing and, in 2012, he finished second in points driving for Michael Waltrip Racing. Before arriving in the Cup Series, Bowyer won the 2008 NASCAR Xfinity Series title. It was easy to sleep on Bowyer in recent years when he drove for a team going out of business and then with a small team without a history of success. Bowyer arrived at SHR in 2017 to replace the recently retired and three-time series champion Tony Stewart. Bowyer and his new team turned in a solid year, posting the 11th-best average finish, but they were unable to capture that elusive victory and fell just one spot short of making the playoffs. Fast forward to 2018 where Bowyer and his No. 14 WIX Filters team are being tabbed as championship contenders. 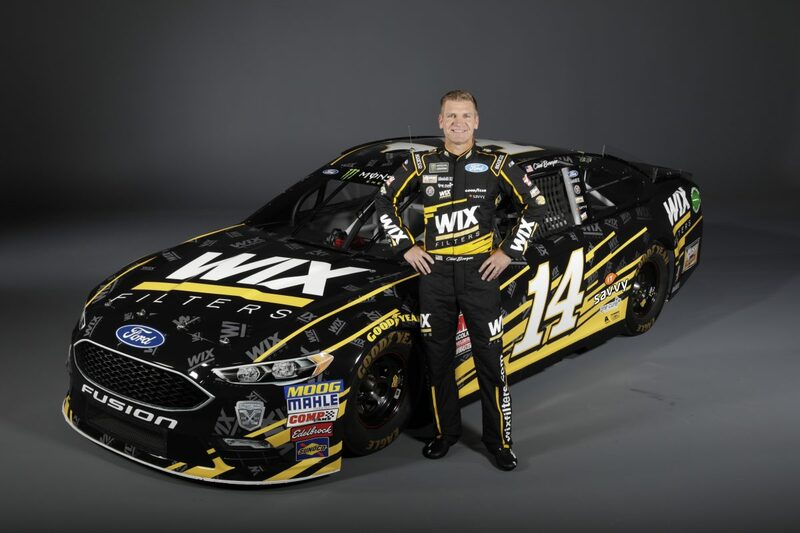 It’s a status Bowyer credits to SHR’s corporate partners like WIX Filters, which provides the parts and expertise that yields an advantage. WIX Filters engineers work side-by-side with its teams, applying their research in the ultra-competitive world of auto racing to the everyday demands of light- and heavy-duty consumer and commercial usage. What are your thoughts on Chicagoland Speedway? What will it take to be a championship contender? Are you and the No. 14 WIX Filters team at that level? How helpful is to have a partner in WIX Filters that also contributes to the performance of your Ford Fusions?